Vodafone has become the first Australian telco to announce availability of the Samsung Galaxy Tab 10.1 Android tablet, with pre-orders for the device opening today at 4pm on both 12 and 24 month contract plans. Vodafone will sell the 3G version of the Samsung Galaxy Tab 10.1 on 10 plans in total — five on a 12 month contract and five on a 24 month contract, with the minimum monthly spend starting at $39 on a 24 month plan, and $65 on a 12 month plan. The company is encouraging consumers to place their orders before the 16th of December to guarantee pre-Christmas delivery. "Some things are just worth waiting for and the Samsung Galaxy 10.1 doesn't disappoint," said Ross Parker, Vodafone's general manager of devices and pricing. "At just $39 a month, on a 24 month contract, including data, it's also the right price. We're pleased to be bringing it to Vodafone just in time for Christmas." Earlier today, Samsung won the right to officially sell the Galaxy Tab 10.1 in Australia following a lengthy legal battle with Apple. The two companies have been battling it out in court since October, with Apple claiming that the Samsung Galaxy Tab 10.1 copied its iPad 2 tablet and breached various patents. The Federal Court initially granted Apple a temporary injunction which meant that Samsung could not sell, advertise, or even take pre-orders, but the case has now been resolved. 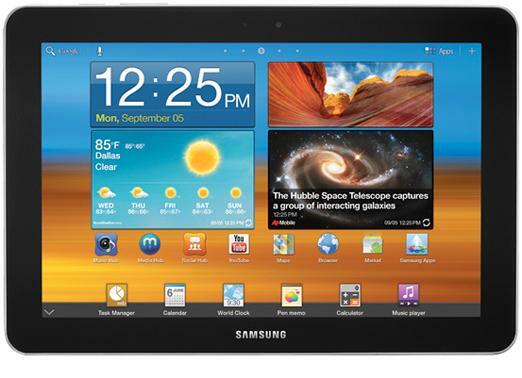 Samsung has already confirmed that the Galaxy Tab 10.1 will be available from "leading Australian retailers" including Harvey Norman, JB Hi-Fi, The Good Guys, Myer, Bing Lee and Officeworks. A Wi-Fi only 16GB version of the tablet will sell for $579 ourright, while a 3G variant of the same model will sell for $729. To pre-order the Galaxy Tab 10.1, visit Vodafone's dedicated Galaxy Tab 10.1 Web page.